In the Smokies, we typically see some of our best hatches of the year in spring. So, it’s no wonder that once March rolls around, most Smoky Mountain fly fishermen have dry flies on the brain. Count me in that group. I love fishing dry flies, especially to steady feeders during a hatch. But just because there’s a hatch, doesn’t always mean you’re going to have a lot of success with dry flies. There are always an abundance of nymphs and emergers available to trout in any hatch. Trout can often feed on them more easily and without exposing themselves to potential predators. And there are certain situations that may make them even more reluctant to feed on the surface, such as marginal water temperatures. We see that a lot around here in the winter. Bugs are hatching, sometimes heavily, but you don’t see a single rise. Another scenario that many don’t consider is a dry, sunny day. During a hatch, many aquatic insects linger on the surface while their wings dry before they can fly away. This makes them easy pickings for a waiting trout. Damp, overcast conditions are great days for dry fly fishing for this reason. The bugs are on the surface longer and the trout are looking for them there. But on dry, sunny days, they are able to get off the water almost immediately, making them a tough target for a trout. In those situations, trout often key in on the nymphs and emergers. This certainly doesn’t mean that you shouldn’t fish dry flies on sunny days or when the water temperature is less than perfect. But when things aren’t going your way during a hatch, you may want to consider changing your tactics. For me, that often means fishing a wet fly. 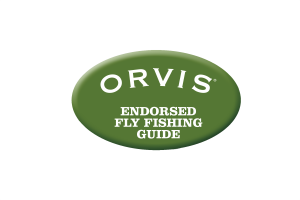 The Early Season Wet Fly is a great one for, you guessed it, early in the season. Most of the aquatic insects that hatch around here in the early season, until around mid April, are dark in color. So this fly, with its darker body and wing, does a great job mimicking the majority of bugs that a trout might see. Past April, I might fish a similar fly in a lighter tan or yellow color. I honestly don’t know where this pattern originated. I’m sure there are many traditional wet fly patterns that are very similar. But I believe this particular version originated in the Southern Appalachian Mountains. Regardless, I learned about it from the same source that I’ve learned most things about fishing in the Smokies: Walter Babb. I fish it a number of different ways. On days when I’m expecting a hatch in the afternoon, I might fish it in the morning in tandem with a dark nymph – maybe a Pheasant Tail or olive Hare’s Ear. In this situation, I’m usually fishing it with a dead drift. 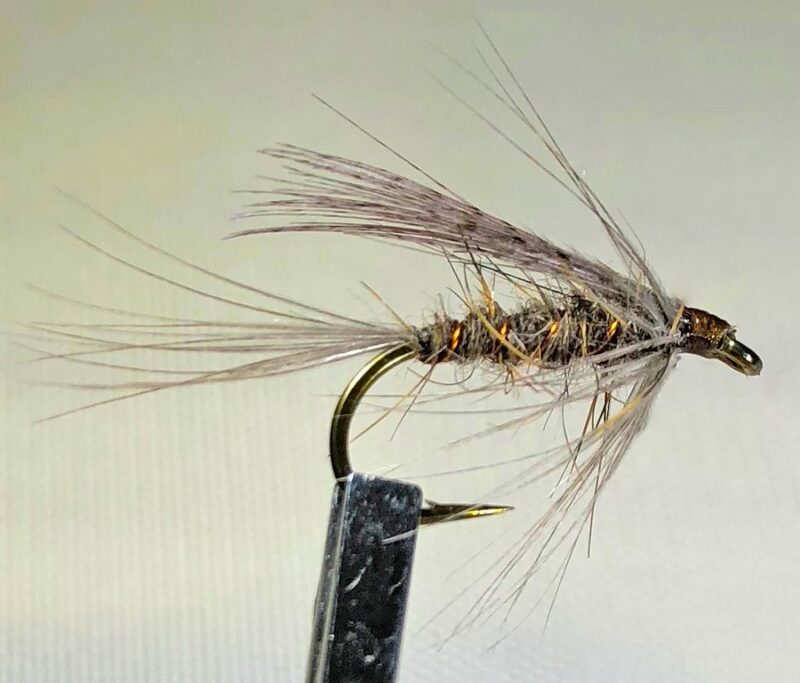 At the very beginning of a hatch, or throughout a hatch with little surface activity, I might fish two of these flies and allow them to swing in the current. And even during a hatch when fish are actively feeding on the surface, I often fish this fly as a dropper off the back of my dry fly. In any case, it’s a go-to fly for me in the month of March and a good one to have in your stash. I doubt that it’s available anywhere commercially but if you’re a fly tyer, I’ve included the recipe below. Learn more about Smoky Mountain hatches and flies in my hatch guide.